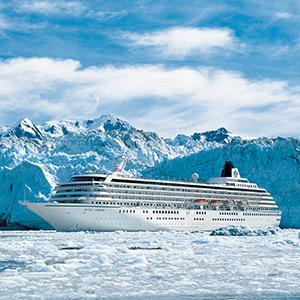 Appealing to discerning guests' sense of adventure, Crystal Cruises offers a collection of worldwide voyages boasting an impressive collection of exotic destinations that invite you to explore the world and all its wonders. From Aitutaki in the Cook Islands to Sibenik on the Dalmatian Coast, these little-known destinations are a mere sampling of ports of call, both popular and undiscovered, which create enriching itineraries that both surprise and delight all travelers—both young and those young at heart. Book Now Savings up to $2,000*! Whether traveling along Europe’s majestic waterways on a Crystal River Cruise, basking in the tropical bliss of the West Indies onboard an intimate and elegant Crystal Yacht cruise, or watching whales breach and glaciers calve in Alaska onboard a Crystal Ocean cruise, you will enjoy Crystals impressive all-inclusive luxuries. Call our agency for expert help finding the best cruise for you. Distinctive Voyages Amenities Offer: Sailing dates and amenities, including exclusive shore events, are current at time of printing and are subject to change without notice. Amenities apply to 1st and 2nd passenger only. Offers are subject to availability, at time of booking, and may be altered or withdrawn at any time without notice. Booking procedure is current at time of print and varies by cruise line. Pricing will be confirmed at time of booking. Cancellations, refunds, and penalties are imposed by the individual cruise lines. Distinctive Voyages amenities may be substituted if a minimum number of guests are not confirmed on any given departure. Exclusive Shore Events vary by cruise line. Combinability varies. Shipboard Credit Offer: Prices are per person, based on double occupancy, cruise only fares. All space is capacity controlled and may not be available in all categories on all voyages. Amenities, pricing & departure dates are subject to availability and may change without notice. All individual cruise line policies and procedures apply; please refer to each cruise line brochure for details. Cancellations, refunds and penalties are those imposed by the individual cruise lines. An additional security service fee as imposed by the US Department of Transportation (DOT) may apply to all air/sea bookings. All terms and conditions are subject to change without notice. Guests must be booked in a featured group departure to receive amenities. Amenities apply to 1st and 2nd passengers only. If group space has been recalled or canceled by the cruise line, amenities cannot be applied.